The Economic and Financial Crimes Commission, EFCC, on Wednesday condemned the decision by a Federal High Court in Abuja to dismiss the case of alleged N19.2 billion fraud levelled against a former Bayelsa State governor, Timipre Sylva. The EFCC in a statement by the head, media and publicity, Wilson Uwujaren, said the trial judge, A. R. Mohammed erred in law as the accused persons had not taken any plea. Mr. Uwujaren said no proof of evidence was placed before the court and trial had also not commenced. The Court had dismissed the case Wednesday, accusing the EFCC of abusing the court process. The court’s decision came more than a week after the anti-graft agency withdrew part of the charges – a N2 billion fraud case – against the former governor. The EFCC said it withdrew a six-count charge of fraud against Mr. Sylva as a prelude to the consolidation of all the charges against him. The commission had two cases against the former governor pending before two Federal High Courts in Abuja, and needed to consolidate them, the EFCC had said. 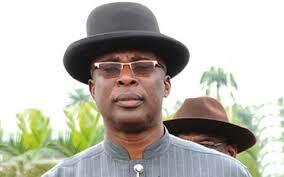 Mr. Sylva, now a senior member of the ruling party, All Progressive Congress, APC, was arraigned along three others – Francis Okokwo, Gbenga Balogun, and Samuel Ogbuku – by the EFCC. They were accused of using three companies – Marlin Maritime Limited, Eat Catering Services Limited, and Haloween-Blue Construction and Logistics Limited to move about N19.2 billion from Bayelsa State coffers between 2009 and 2012, under false of using the withdrawn money to augment salaries of the state government workers.